I have just returned from 12 days exploring the alluringly diverse country of Costa Rica. My travels covered the Central Valley from San Jose to La Paz, La Fortuna and the Arenal Volcano, the Cloud Forest of Monteverde, and the Guanacaste coast of the Pacific Ocean. I experienced first-hand the pride Costa Ricans have in their ecology and culture through tours of cocoa and coffee plantations, lunch at a sustainable farm, and at Guaitil where villagers have been making beautiful pottery for generations. High adrenaline adventures abound in Costa Rica, with opportunities for white water rafting, canyoneering (rappelling through waterfalls), zip lines, and a heart-stopping Tarzan Swing. Nature lovers may prefer sedate activities like hiking, natural hot springs and abundant waterfalls; traversing hanging bridges in the rainforest; spotting birds, butterflies, monkeys or illusive sloths in the treetops; or finding frogs and snakes hiding in the undergrowth. Usually a Caribbean diver, I was pleasantly surprised to encounter 82℉ water temperatures (with a few cooler upwells), quiet seas, and visibility of 30-40 feet in Costa Rica's Pacific waters. Above all, it was the marine life that captivated my attention. There were schools of reef fish, unique urchins, sea stars, a site with legions of pufferfish, white tip sharks, spotted eagle rays, dozens of eels (of at least 4 different species), coronet fish, King Angelfish, and to cap it all off eight different octopi on the last dive of the trip. 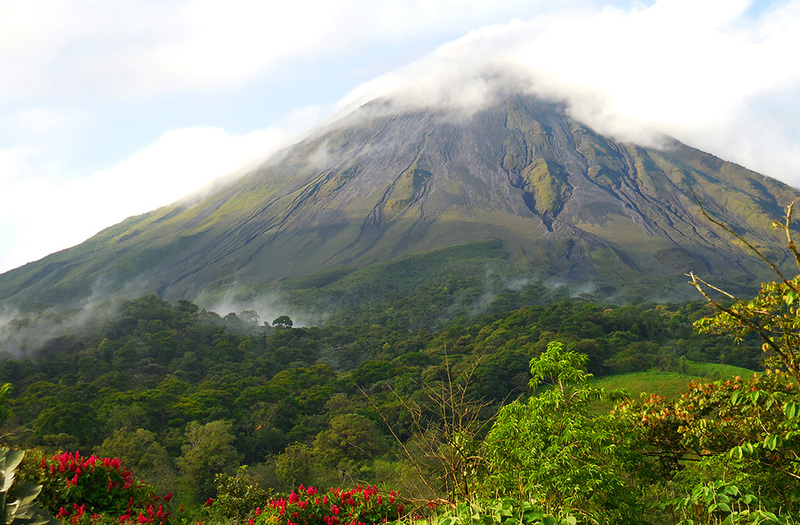 Also find pricing and tour descriptions here: Bill Beard's Costa Rica. The Adventure Experts of Island Dreams Travel are here to assist you. Entry Requirements: Passport must be current, with at least six months of validity following your visit. No visa is required for North Americans. Departure Tax: As of this writing, depature tax is $29 USD. Recently purchased airline tickets may already have that tax included in the ticket price. If not, the tax is paid at the airport before going through airport security. It is payable in either Costa Rican Colones, U.S. dollars (USD), or with Visa/Mastercard. 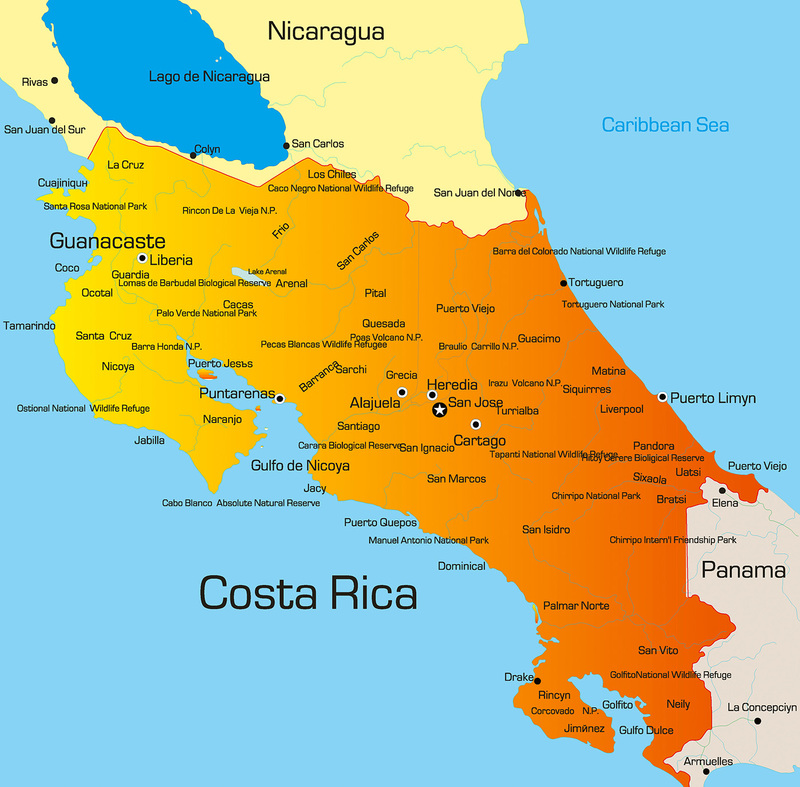 Air Travel: As to flight arrangements, there are two main airports in Costa Rica. Juan Santa Maria International Airport (SJO), is situated in the province of Alajuela, 20 minutes from the capital city of San Jose. San Jose (SJO) received direct flights from gateways around North America on American Airlines, Delta Airlines, Spirit Airlines, Southwest, United, Air Canada, and Jet Blue. SJO is the country's main airport as well as the most modern. This airport offers a great variety of services like fast food restaurants, bookshops, souvenir shops, duty-free shops, a small drugstore and several money changing services. Daniel Oduber International Airport (LIR), is in the Province of Guanacaste. This airport is located ten minutes from Liberia, the main city in Guanacaste and close to beaches and resorts of the Northwestern pacific coast of Costa Rica, also known as the Golden Coast. Liberia (LIR) received direct flights on Alaska Airlines, American Airlines, Delta, JetBlue, Southwest Airlines, and United. The LIR airport is small in terms of number of flights and services but for those headed for a beach vacation in Guanacaste this is the best choice. Driving in Costa Rica: Main roads in Costa Rica are good, but some of the smaller access roads may be in poorer condition. The natural attractions and amazing landscapes throughout the country are definitely worth the occasionally rough ride. Renting a Car: Rental prices vary depending on the season. Prices can start at about $40 USD/day and $300/week for an economy class car. If you want a 4WD, prices go up to $50/day or more depending on the vehicle type. For those looking for more freedom and adventure this may be an excellent alternative. If you prefer not to drive, a private car and driver/tour guide can be arranged. Island Dreams will assist you.